You can descend to the depths of Earth right from the lobby of Hotel Vesileppis. 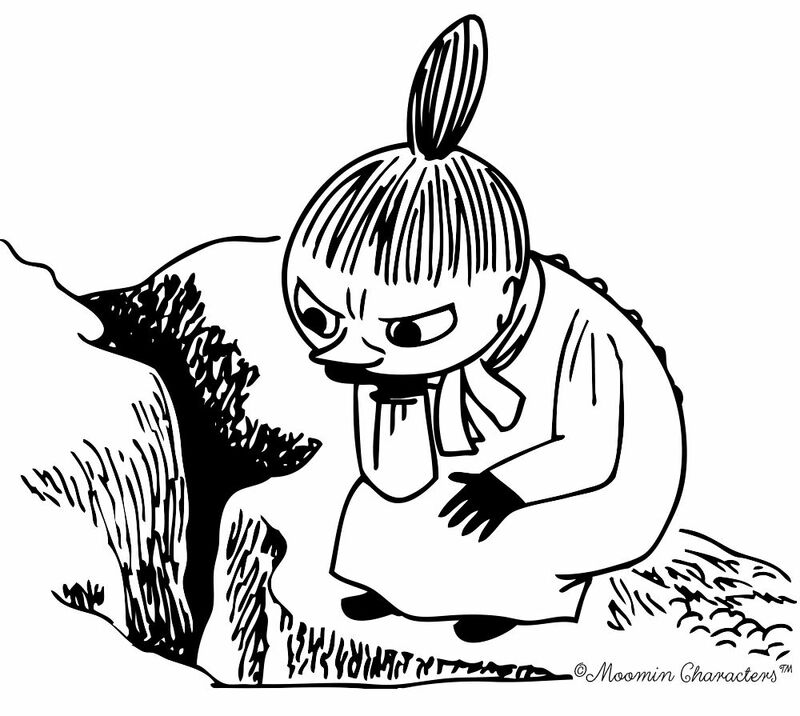 Not only the Moomin ice sculpture exhibit waits in the cave, but also lots of other wintry fun. 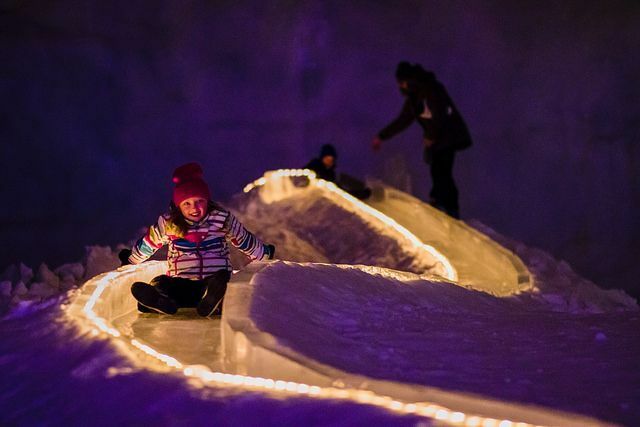 Shoot down the ice chute for a wild experience! Grownups are allowed to look silly too! Try skiing on our year-round ski tracks. Husky rides for groups. Please make a reservation. Do you have what it takes to take a spin on the sleigh-go-round? 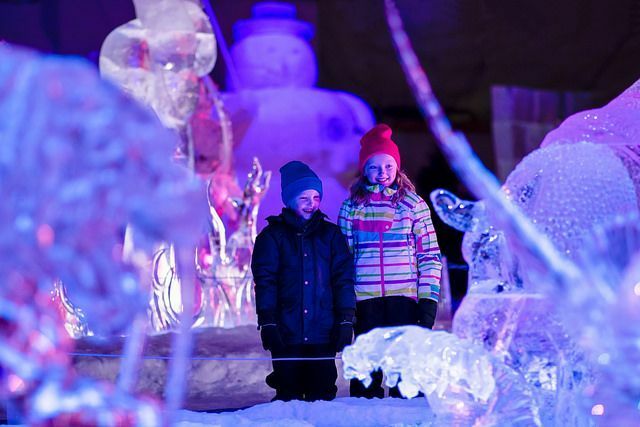 The Ice Carving World Championships of 2017 and 2018 were hosted in Vesileppis' ice cave. 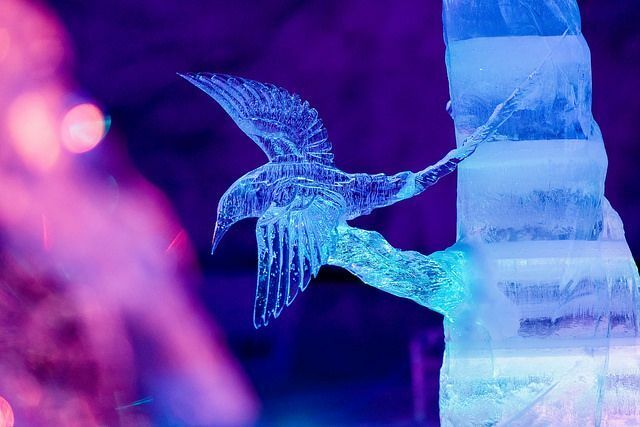 This winter the sculptures are carved by the team Jäälinnan Mestariveistäjät, including Wold Champion Lkhavgadori ”George” Dorjsuren and Finnish Champion Anssi Kuosa. 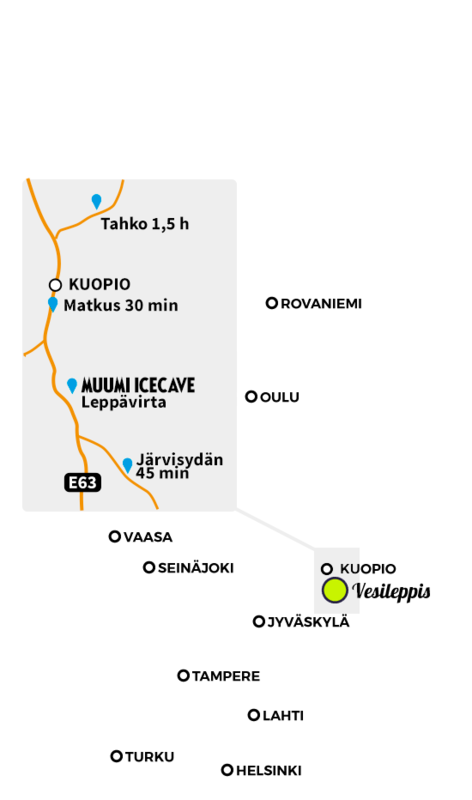 The visuals are provided by the Finnish team of veteran experts, Fantasia Works. 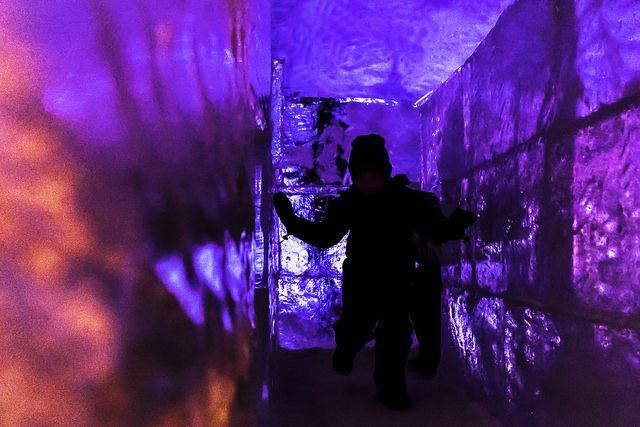 See the video below for last year's ice cave experience.